A very special collaboration by Answers in Genesis and Diana Waring—one of today’s most-loved “history evangelists”—brings you an unparalleled history curriculum! 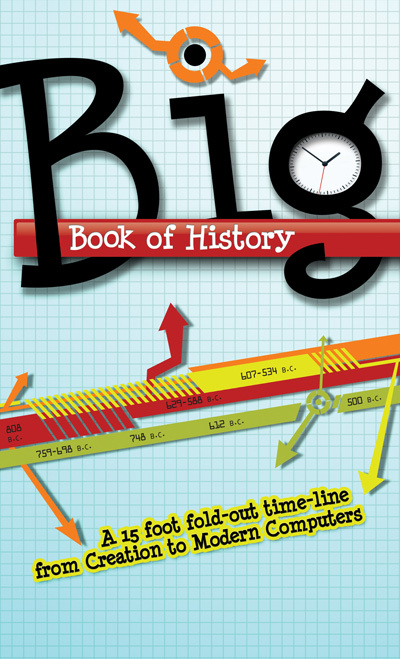 These top-quality history textbooks start at the beginning—roughly 6,000 years ago. 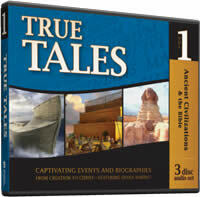 Unlike the “politically correct,” evolution-influenced public school curriculum, this biblically based curricula shows students the real history of the world! This cutting edge, audio-enhanced curriculum appeals to different kinds of learners based on the three main learning styles: visual, auditory, and tactile. 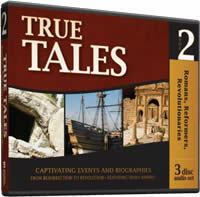 Appropriate for grades 5–12 (Student Manual & Teacher’s Guide) and K–4 (Elementary Activity Book). Includes geography, creative writing, research, art, music, architecture, science, drama, cooking, and more! Study together with the whole family! Every student has a chance to do what they love. 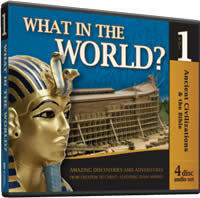 Answers in Genesis has teamed up with Diana Waring, one of the most recognizable names in homeschooling, to bring you this unique and comprehensive world history curriculum—“History Revealed.” Whether you’re just beginning to teach history, or looking to move away from a curriculum that has zapped your children’s enthusiasm, this one will prove to you and your kids that history is fun! 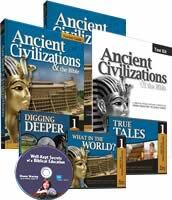 Volume 1 is Ancient Civilizations and the Bible, which takes you on a journey from creation to Christ, covering the major events, civilizations, and personalities in the first 4,000 years of world history. 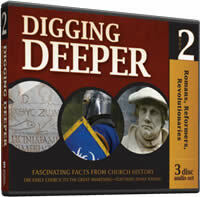 Volume 2 is Romans, Reformers, Revolutionaries, which covers the early church to the French revolution. 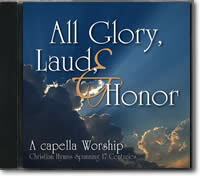 Volume 3, World Empires, World Missions, World Wars, will be available in 2011. 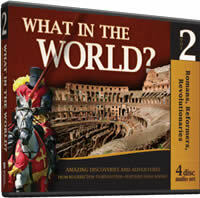 Each volume is a one-year history curriculum and includes a teacher guide, student manual, testing kit, audio CDs, and an optional elementary activity book for the younger students so that all ages can participate in this exciting study of world history. Each volume is broken down into nine units, with each unit broken into four one-week segments, called phases. Each phase covers a variety of learning methods. 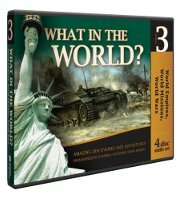 In Phase 1, the student reads the unit article and then listens to fascinating stories of history told by Diana in the What in the World is Going on Here?, True Tales, and Digging Deeper audio CDs. Phase 2 focuses on exploration and discovery. The student researches a topic of his or her own choosing and also learns vocabulary and constructs a timeline. Phase 3 focuses on the geography, arts, and sciences of the period covered. 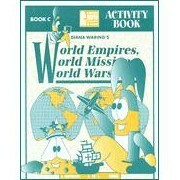 It includes making maps as well as activities in science, art, architecture, cooking, and music. In Phase 4 students are encouraged to express themselves in their own unique way, choosing a project that may include writing, art, music, drama, movement, conceptual design, or other areas of expression. 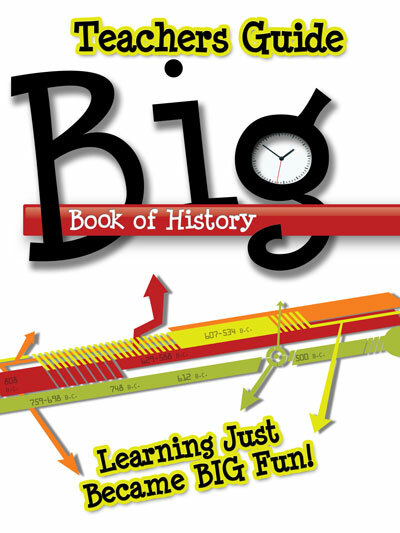 The teacher guide includes everything needed to make history come alive for your students (and you). Diana also gives weekly schedule suggestions that are flexible to the needs of your family or class, and she provides background information for you to stay at least one step ahead of your students. What sets this curriculum apart? Discovering and enjoying history from a biblical perspective—looking at God's fingerprints throughout time and noting how God has been intimately and powerfully involved in the lives of individuals and nations. 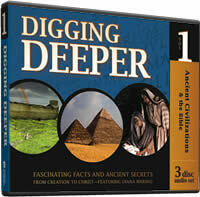 Exploring history in a way that honors a student's God-given design. 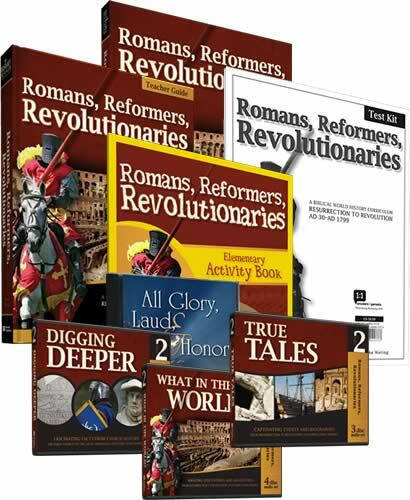 Because God has created different types of learners, this curriculum offers many different ways to engage each student in a love of learning history. Diana Waring makes history come alive. Her enthusiasm and love for God’s unfolding plan of history overflows from every article and audio recording, stimulating students and teachers alike to recognize God’s hand in world history and to marvel at His goodness.